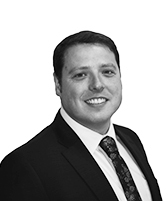 Avtrade is pleased to announce the appointment of Tom Vansittart as Regional Sales Director. A Purchasing and Supply qualified expert with 18 years’ experience in the aviation industry, Tom brings a wealth of knowledge and expertise to Avtrade’s Sales Department. Senior roles held at leading global aviation companies such as Virgin Atlantic, British Airways and Aersale Inc. have afforded Tom an in depth understanding of airline operations and customer requirements. With a background in engineering stores, aircraft interiors procurement, vendor management and more recently management of Logistics and AOG departments, Tom has the necessary experience to build successful lasting relationships with Avtrade’s continually growing global customer portfolio. Tom has been appointed as Regional Sales Director with responsibility for Europe and the America’s. Using his experience gained at major airlines to build successful customer relationships in a rapidly changing market, Tom will lead and develop his team of Regional Account Manager. Focus will be on maximising revenue, developing sales strategies and expanding business opportunities.